We have been doing the hard work so you can trust our goats. To read about the phenomenal buck SKY Blue's Copyright, visit our "Sires" Page. For Central Performance Test updates: check out our Performance Test Page. 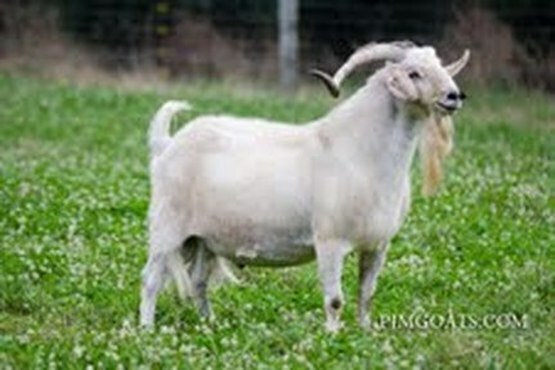 Please visit our Available goats page or click on this link button. Thank you for visiting our Farm website and for your interest in the "PJM" Goat Farm. 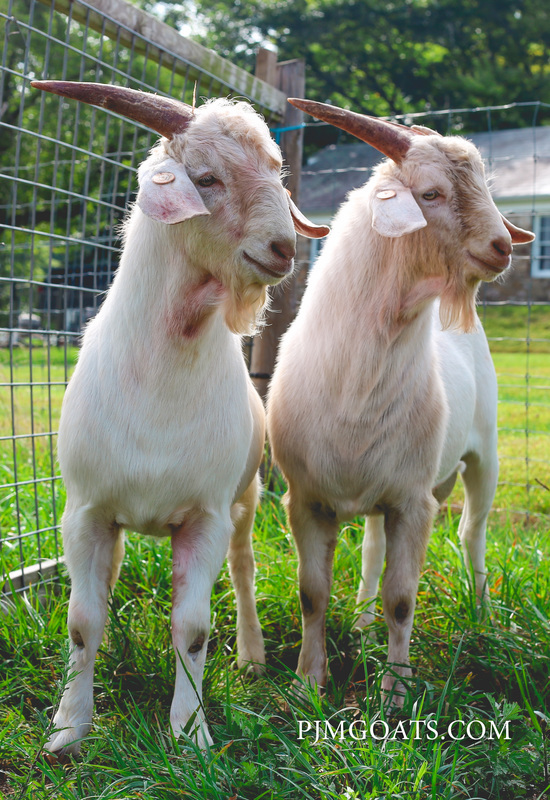 We hope that our site illustrates our genuine interest and commitment to producing quality goats which thrive and sustain themselves under typical farm conditions using proven quality genetics. Check out our "Breeding Backround" page for insight into the experience used in our breeding program. Scroll down our "Performance Test Info" page to follow our success in performance tests over the years. Our "Sires" page shows how we have used performance-test-buck genetics dating back to the first central performance tested Kikos. Our "Testimomials" page shares our clients' experiences with our goats in different regions across the USA. Our "Available Goats" page has pictures of the goats we have offered at some sales over the last few years and updates on what we may have available. We have an active Facebook page at "PJM Goats". Follow the Facebook link above to reach and "Like" our page for more updates. So, have a look around and contact us if you would like to talk about our goats. Registered Goats or Commercial/Meat Production Kiko stock. When you look around the website, you will see that we have better quality performance tested genetics that can combine high daily gains with hardiness. We have done a lot of culling so you have less trimming, less deworming, less expense, less labor and more profit growth for your goat business. In 2014, we entered these two kids in the WV Ram and Buck Test. They both, along with two of their half siblings sired by "Copyright", broke the Kiko breed's record for high ADG that was set by "Titan's Hammer" more than ten years previously. These bucks are stained red by the marking paint used at the test site.